rehabilitates himself through his courage and indifference to danger or death, and as a result of his efforts, he absolves himself of his sense of cowardliness. In the book’s most compelling chapters, Mason describes Faversham’s most demanding and penitential acts when he sets out to be captured and sent to the pestilent hellhole prison of the “House of Stone” at Omdurman, the Dervish capital. There he shares the suffering of one of his former compatriots who has endured a ghastly imprisonment for three years. In time the two miraculously manage to escape. His redemption complete and his manhood restored, he can return to England and perhaps renew his relationship with the woman who once repudiated him. I would suggest that the novel has largely been misunderstood. 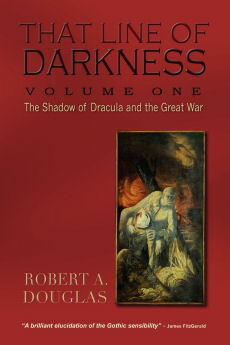 Writing in Salon, Charles Taylor notes that the novel is “probably the purest fictional example of the mindset that has led countless young men through the ages to turn themselves into cannon fodder.” If males read this novel primarily as an imperialist adventure and the need to demonstrate derring-do to avoid the “cowardly” label, Taylor’s comment makes sense. Young men would likely follow the most suicidal orders to ‘go over the top’ into a hurricane of bullets to avoid this stigma. Yet there is precious little in Four Feathers to interpret it as a gung ho celebration of war. Unlike the subsequent films, there are few battle scenes. The novel is more about the thoughts and regrets of a few individuals caught up in the vortex of Britain’s colonial wars and the loss, restoration and maintenance of honour. If there is an underlying message, it is that sometimes individuals who do not wish to fight wars can be brave. Taylor’s musings would have had greater resonance had he been alluding to the adventures written primarily for young adolescents. Most of the novel takes place in England where the characters, primarily Ethne, inquire about Faversham’s whereabouts and wellbeing. She is more prominently featured than Faversham. After he devises a plan and departs for Egypt, he largely disappears from the novel. 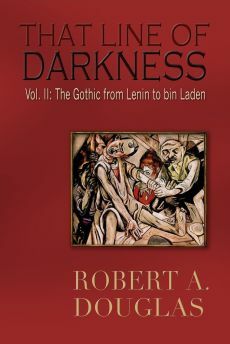 Even in the chapters set in the Middle East, apart from the “House of Stone” chapters near the conclusion, Faversham is a shadowy figure more talked about than an actively-engaged character. The novel is largely a character study on how two men respond to adversity and how a woman wrestles with her conflicted feelings. Harry Faversham and his best friend, John Durrance, love the same woman. Durrance recognizes that Ethne does not love him. His pain is compounded when he is blinded by sunstroke in the Sudan. He masks his tribulations and disappointments with a heady dose of stoicism and compensates for his blindness by sharpening his wits through the use of logic and aural observation. Since the 2002 Four Feathers was released, the film has received a barrage of derisive reviews. The characters do not sound or look British. They expressed emotions that would have embarrassed the stiff-upper-lip soldiers of the late nineteenth century. Kapur’s Harry Faversham appears as a callow youth ignorant about languages. 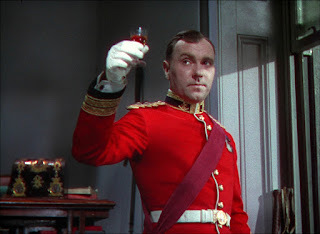 The film was too much a critique of imperialism; the sense of duty and honour that motivated British soldiers has been replaced by the theme of comradeship. If this film was merely an updated adaptation of Korda’s 1939 film, these allegations would be entirely justified. 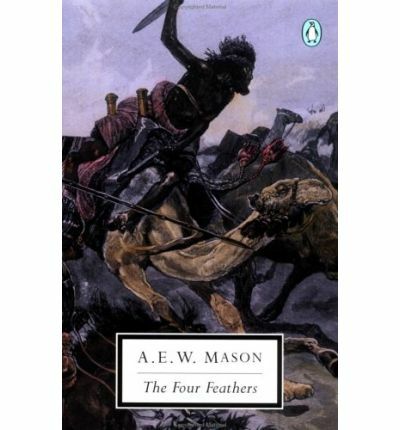 But Kapur’s Four Feathers takes as its inspiration Mason’s 1902 novel that is almost entirely free of the imperialist jingoism found in the writings of contemporaries such as Rudyard Kipling, Rider Haggard and Edgar Wallace. Mason infuses a universality that makes it possible for a filmmaker to be faithful to the novel’s spirit and provide a modern sensibility. Since the relationship between the characters is central to the novel and the empire is merely a backdrop, one could almost read the novel as a narrative set in modern Afghanistan. Despite its flaws, the film is closer in content and spirit to the novel than its more celebrated predecessor. The relationship between Abou Fatima and Harry Faversham reinforces Kapur's disdain for British haughtiness. Because the Englishman does not know the desert environment nor has he learned the Arabic language and the local native dialects, he relies on his “guardian angel,” Abou, to protect him, and he saves his life more than once. The friendship that develops between the two men – the laughter between the two men in one memorable scene is an expression of their mutual respect – could be Kapur’s belief that there must be an interaction between East and West, something that is perhaps hinted at in the novel when there could be mutual trust between an Englishman and his servant. 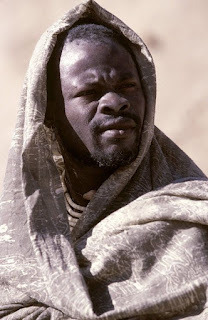 Yet the motives of Abou in the film remain unclear. When Faversham asks him why the African saves his life, his only response is: “God put you in my way. I had no choice.” Moreover, a meeting of minds would imply that it should go both ways; there is little to suggest that Faversham gives anything back to his protector even though the last image in the film suggests that the Englishman's soul will always be in the Sudan. Four Feathers does explore Faversham’s complicated motives – not entirely satisfactorily. He only accepted a commission to please his career officer father, whom he has at best a formal relationship, and continue the military tradition of the Faversham men. Given his conditioning, he is understandably afraid. His father disowns him after he fails to discharge his duty and his fiancée Ethne spurns him as a coward. Yet Faversham’s sin was an assertion of his individuality not cowardliness. She ends the engagement but continues to reproach herself for not standing by him and giving in to fear about what others would say. When Faversham decamps to the Sudan, he is not motivated to serve king or country but to regain his self-respect and the respect of his friends. He achieves that purpose but when he returns, the only motive that seems to matter is fighting for your comrades not whether the war that his comrades fought was just. This is made explicit by Durrance in a closing address at a memorial: “In the heat of battle it ceases to be an idea or a flag for which we fight. We fight for the man on our left. We fight for the man on our right. And when the armies have scattered and the empires have fallen away, all that remains is the memory of those precious moments we spent side by side.” These are stirring contemporary sentiments and they resonate with his fellow officers in the audience but they are detached from Mason’s original context. When Kapur made the decision to disconnect the film from the novel, he might have explored whether colonial wars – or any wars – were ever just. By skirting it, Kapur is attempting to depoliticize his film but the imagery of Westerners fighting wars against shadowy Arab armies will render it political regardless of his intentions. Had he confronted that question and left in Durrance’s final speech, he might have complicated the film but that ambiguity would have made it a richer cinematic experience.